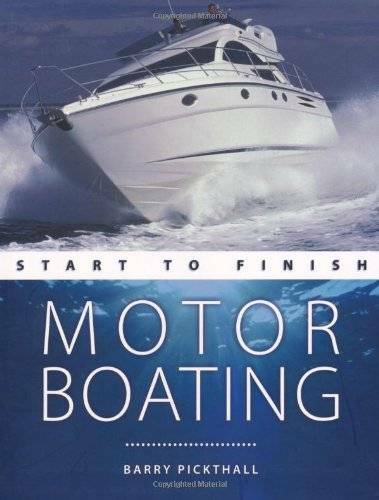 Barry Pickthall, "Motorboating: Start to Finish"
Motorboating: Start to Finish is the perfect book for you if you are new to motorboating and need to learn the basics, or if you are experienced, but wish to broaden your skills and develop your techniques. This step-by-step guide is packed with information and easy-to-follow illustrations. 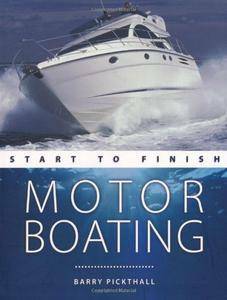 A complete reference for every level of tender, RIB, fishing boat, motor cruiser or sportsboat driver, this book is ideal whether you are a beginner and need a straightforward guide, or are taking your sport to the next level and looking for the professional tips that will help you improve your speed, skill, safety and enjoyment on the water. Information and advice are included on basic principles, going to sea, boat handling and safety at sea. A great read to learn, develop and refresh your boating skills.